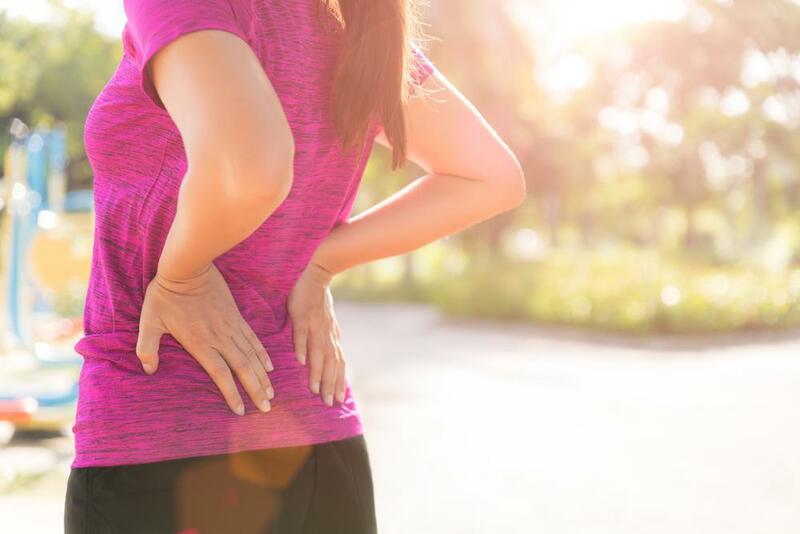 Athletes whose sports rely on overhead motion, such as swimmers, tennis players, or weightlifters, often experience pain and swelling in the shoulder due to tendonitis. 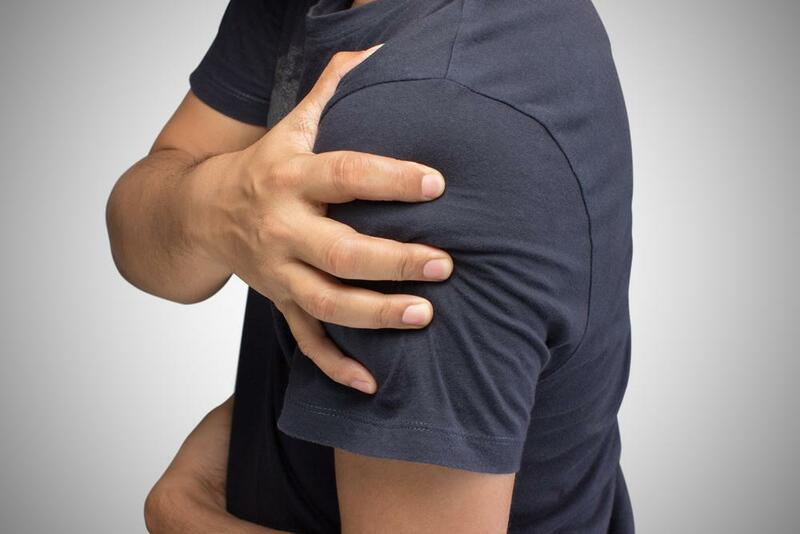 This condition occurs when the tendons in the shoulder joint become irritated or inflamed. Shoulder tendonitis is also characterized by a “frozen” arm, or a severely restricted range of motion. An orthopedic specialist will likely recommend rest, anti-inflammatory medications, and icing to reduce the swelling caused by tendonitis. Physical therapy exercises to stretch and strengthen the tendons, such as the five described below, can also help in the healing process. For this stretching exercise, place your uninjured arm on a table as you bend forward at the hips. Let your painful arm hang at your side. Use your body weight to gently swing your injured limb backward and forward in a circular motion. Do this for a few minutes two to three times daily. As you lie on your back, grab a stick or cane with both hands, leaving about 18 inches between the hands. Keeping your elbows straight, lift the cane up and down starting at waist level. To stretch the injured tendon and minimize pain, use your uninjured arm to elevate and lower the cane. Hold the stretch for 15 to 20 seconds and do five to 10 repetitions twice per day. Lying on your back, gently guide your painful arm toward the opposite shoulder by placing the hand of your other arm on the elbow of the affected limb. Then, gently stretch the shoulder tendon as your injured arm lies flat across your body. Hold this position for 15 to 20 seconds. As with most stretching exercises, repeat this motion five to 10 times, two to three times each day. Stand in an open doorway with your arms outstretched at your sides. Move your arms upward and grab the sides of doorway at or near shoulder height. With your back straight, lean forward, putting your weight on your toes. You should feel the muscles and tendons at the front of your shoulder stretch, but be sure not to overdo it with this exercise. Resistance training is another great way to mitigate the symptoms of shoulder tendonitis. Secure a resistance band to something sturdy so it doesn’t detach during the exercise. Bend the knee on the same side as your injured arm and lower it to the floor into a kneeling position. Bend the opposite knee, but keep the foot flat on the floor. Grab the band with the hand of your injured arm and pull it toward you. Squeeze your shoulder blades together as you move the band toward your body. Release as you move the band away from you. Keep your body aligned with your bent knee and your back straight. Your body shouldn’t move during this exercise, which should be done 10 times in a set, three times daily. Fortunately, most cases of shoulder tendonitis don’t require surgery. With conservative treatments like physical therapy, you should be able to move your shoulder freely within six weeks. To learn more about exercises for shoulder tendonitis, contact the physical therapists at All Sports Physical Therapy and set up an appointment.